Steven Gerrard has advised Paul Pogba to start listening to Jose Mourinho’s criticism if he is to reach his full potential and rediscover his best form while at Manchester United, with fellow former England midfielder Frank Lampard explaining why he believes the £89m star must learn to improve his defensive side of the game. Mourinho has batted away suggestions that he has fallen out with Pogba this season, with the France international going through a poor run of form that was not helped by illness last weekend that forced him out of the FA Cup fifth-round victory over Huddersfield Town. 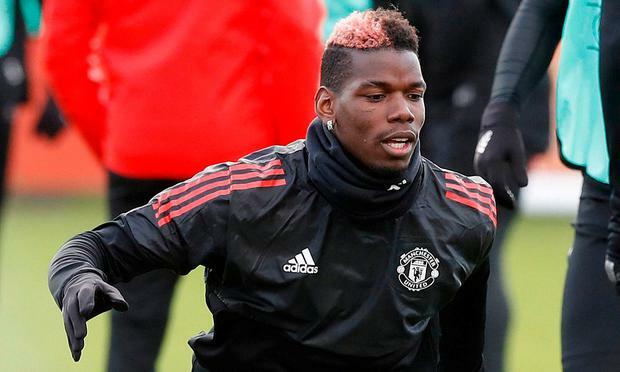 Pogba is in line to return to the United starting line-up for the Champions League last-16 first leg against Sevilla on Wednesday night, having played a full part in training at the Estadio Ramon Sanchez Pizjuan on Tuesday. But given his recent trouble to find his best form on the pitch, Gerrard and Lampard were asked for their view on why his performances haven’t quite been where they’re expected to be this season. Lampard was of the same opinion as his former England teammate, adding: “He's a very talented player, nine assists is good. He's short on goals slightly but I'm not sure. Obviously the injuries affect you but in the games I've seen recently it's defensive awareness that would be my problem. “I think we're mixing it up with maybe he should be in a two or maybe he should be in a three. But when you play big games... Tottenham recently, Champions League if he plays tomorrow [Wednesday] night, you have to have defensive responsibility whether you're in a two or whether you're in a three. That's your best and then go forward and create because he certainly has the ability to create. But rather than look at the reasons that Pogba is responsible for, former United defender Rio Ferdinand believes that part of the problem is the lack of leaders within the squad that the 24-year-old can learn from. “I think he needs help sometimes,” Ferdinand said. “Just because you're worth so much amount of money you still need to learn and you need people around you. “I'd say he'd be having the conversations with the manager because I think that's how Mourinho works.